Post-Rock is an odd genre of rock that is influenced by traditional rhythms and splashed with a strong presence of texture. The odd thing about Post-Rock is usually it’s music conveyed without lyrics, the instruments do the talking. Now bringing to mind Post-Rock influence with a splash of punk and New Wave you get sounds from bands such as The Killers or The Strokes. That said we come to NYC’s next post-punk/rock/indie act Imaginary People. 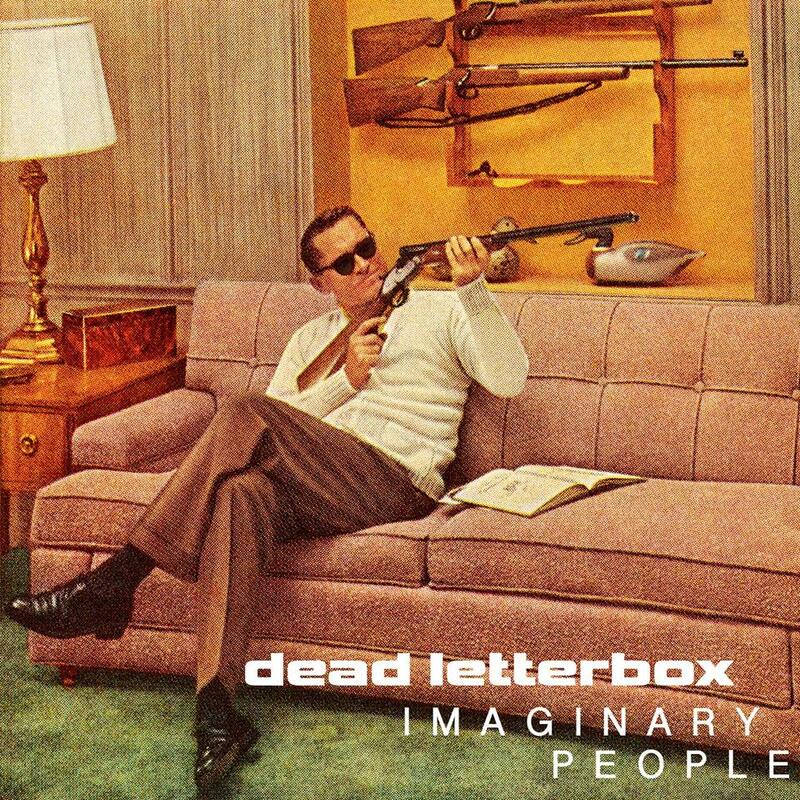 Comprised of 5 members, Imaginary People have recently released their debut full-length album ‘Dead Letterbox’ which is made up of 11 interesting and textured tracks that call to Post-Rock but in full stride keep that Indie niche ever present. Summerstock – An obvious call to the punk bands of the 70s as singer Dylan Von Wagner pursues the drenched, angst ridden vocals that are layered on top of classic distorted guitars, eighth-note bass lines, and a simple drum structure. An overall fun track to consider on this album. Plain Purple – Hitting on the new wave influence of bands such as The Killers, Plain Purple has a heavy bass presence as the guitars take a more lead based path. Wagner’s vocals yet again pursue that indie rock path that doesn’t change but doesn’t sound out of place. One thing I can say about the first few tracks and remainder after them is this, it’s fresh and interesting to a reviewer like me who is always on 4/4 timing state of mind when it comes to music. The adventure’s I have when I explore bands like Imaginary People and discovery a whole different platform of creativity is priceless. That said, Atmosphere is definitely a keyword to every track especially when you come to Russian Hill, a song that is drenched in fuzzy bass and ambiance that could easily fit into any indie/new wave playlist that features all the hipster oddities. Simple Life – Driven by the maddening atmosphere of NYC, Simple Life captures the culture of a city that is diverse in music and people. Wagner’s vocals surprise me as his approach is more a call to the Ramones than to the indie influences he no doubt finds productive to the band’s sound. Stella – Now this is a simply stunning track that is infused with a relaxing melody of echoed guitars, chorus effect drums, soothing and indecipherable vocals, all packaged up nice and neatly bringing this journey of Indie rock to a close. Stella overall is my absolute favorite track and one worthy of a listen before or after purchase. Certainly one of the more subtle tracks. Relaxing by nature, but powerful by audio frequency and atmosphere of a somber beach setting and feeling the crashing of the water at your feet, the ocean’s salty scent wafting the scenery only completes what this song could accomplish for you. Ending notes: Dead Letterbox is a unique album. It took me a good 2 or 3 listens to truly appreciate all the textures, effects, and songwriting approach that comes with the indie rock and New-Wave scenes. So be patient, put on headphones, turn up the volume and close your eyes to take in the magnificence in the odd. Contrast Control was founded on finding interesting music for all ages and families to enjoy. So keep in mind that it’s ultimately up to you as to what can be called good music. The sky is limit when you think of things that way and Imaginary People can help you push that boundary to wonderful places. Personal Favorite Tracks: Simple Life, Agata, Stella, Russian Hill, Plain Purple, She Is. contrast Control, Dead Letterbox, Imaginary People, Indie Rock, James West, New Wave. Bookmark.